Focus MP3 Recorder Pro is an all-in-one recording studio with audio recording, burning, editing, splitting and joining features. Focus Mp3 Recorder can record sound from your cassette tape, any voice from MIC, CD audio directly while playing and if you can hear it! 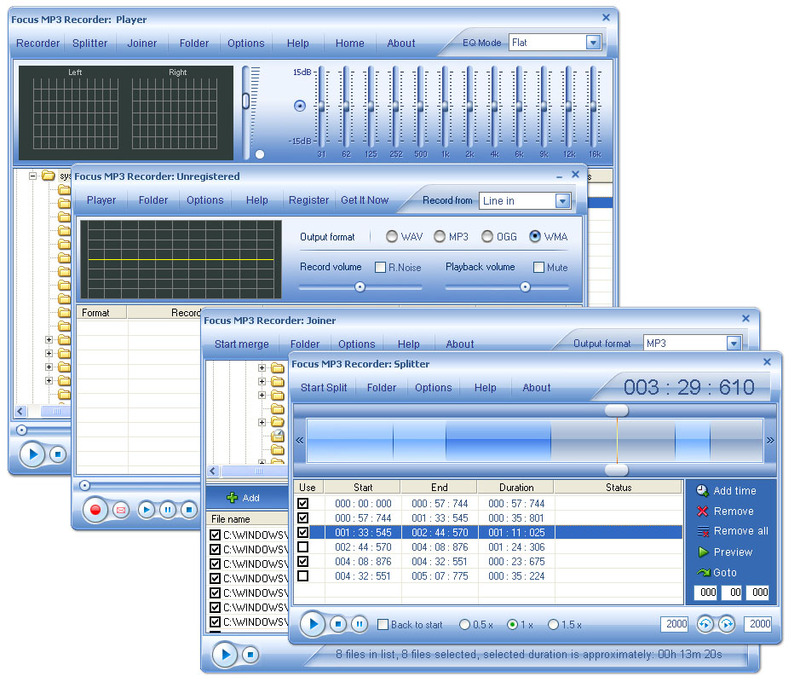 Focus Mp3 Recorder supports four formats (WAV, MP3, WMA and OGG) and produces high quality recording. ...... And mail the sound to your family and your friend (Best choice is: Mp3). Qweas is providing links to Focus Mp3 Recorder 4.0.0.0 as a courtesy, and makes no representations regarding Focus Mp3 Recorder or any other applications or any information related thereto. Any questions, complaints or claims regarding this application Focus Mp3 Recorder 4.0.0.0 must be directed to the appropriate software vendor. You may click the publisher link of Focus Mp3 Recorder on the top of this page to get more details about the vendor.